The government on Wednesday approved fiscal incentives to attract investments and technology in raising oil and gas production from ageing fields, which will unlock an estimated Rs 50 lakh crore of hydrocarbons in the next 20 years, oil minister Dharmendra Pradhan said. The government will charge half of the Rs 4,500 per tonne cess levied on oil produced from nominated fields of state-owned ONGC and Rajasthan block of private sector Vedanta through enhanced oil recovery (EOR) and improved oil recovery (IOR) projects. For gas, a 75 per cent discount in royalty would be given. “Because of this, new investment and technology will come and Rs 50 lakh crore worth of production will increase in 10 years,” the minister said. 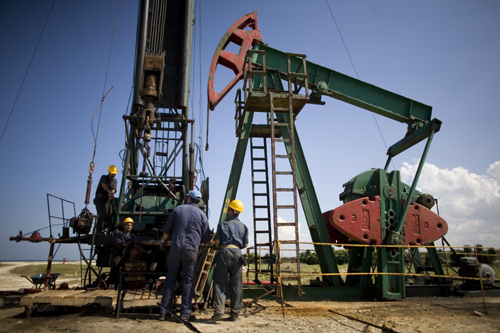 Conventional oil and gas fields see output decline and recovery rate drop as they age. To increase recovery rate, EOR and IOR schemes like polymer injection have to be implemented. “Technological interventions have significant potential in stimulating the recovery of hydrocarbon reserves from the matured/ ageing fields. “An increase by 5 per cent in recovery rate of original in-place volume in oil production is envisaged producing 120 million tonnes of additional oil in next 20 years. In case of gas, an increase of 3 per cent recovery rate on original in-place volume is envisaged, leading to additional production of 52 billion cubic metres of gas in next 20 years,” the mi­nister said. The policy, having a sunset cla­use, will be effective for 10 years from the date of its notification. However, the fiscal incentives will be available for a period of 120 months from the date of commencement of production in such projects. The policy will be applicable to all contractual regimes and nomination fields. “This policy initiative is expected to spur new investment, provide impetus to economic activities and generate additional employment opportunities. The policy is expected to facilitate induction of new, innovative and cutting-edge technology and forging technological collaboration to improve the productivity of existing fields,” he said. Commenting on the decision, Vedanta’s CEO for oil and gas Sudhir Mathur said the move would spur the growth of Indian oil and gas industry. “This policy will attract much-needed investments, and usher in a wave of best-in-class technologies to improve India’s hydrocarbons recovery,” he said. While ER includes EOR and enhanced gas recovery (EGR), unconventional hydrocarbon (UHC) production methods include shale oil and gas production, tight oil and gas production, production from oil shale, gas hydrates and heavy oil. “The strategic objective of the policy is to build a supportive ecosystem through academic and research institutes, industry-academia collaboration and to support and encourage exploration and production (E&P) contractors to deploy ER/IR/UHC methods/ techniques,” the minister said.